"Albert Emanuel Library circulation desk"
A view of the circulation desk at Albert Emanuel Library in 1927. 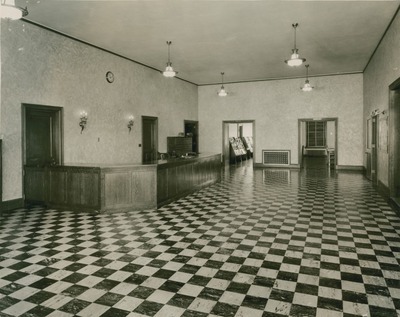 In the left side of the photograph is the large, wood circulation desk and card catalogs. On the upper right side of the photograph are the doorways to the periodical room.